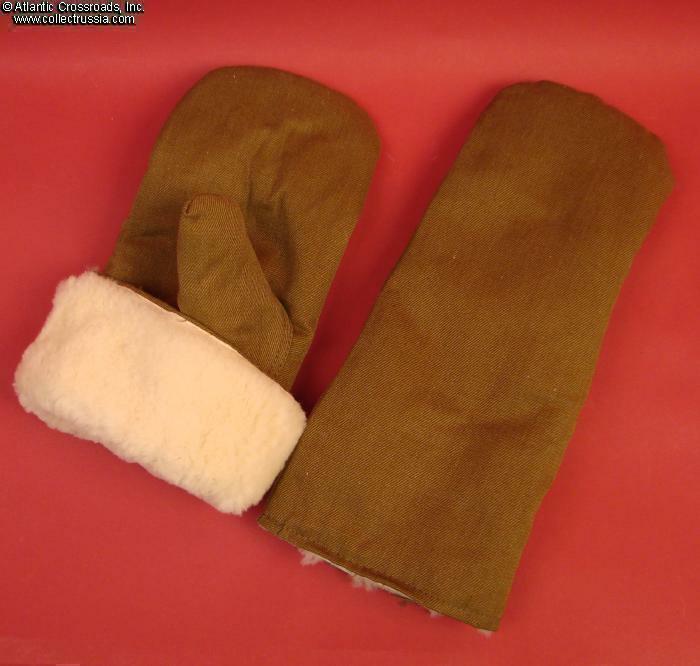 Soviet Army Issue Winter Sheepskin / Cotton Mittens, dated 1990. 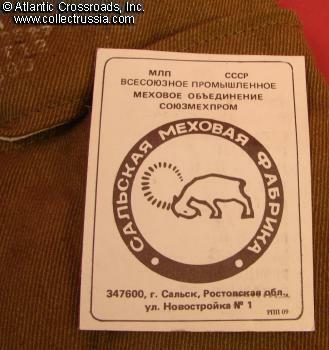 The inner layer is Genuine SHEEPSKIN fur; the outer layer is olive drab cotton, tough and sturdy but soft. These mittens are Extremely Warm, designed specifically for super cold Russian winters! 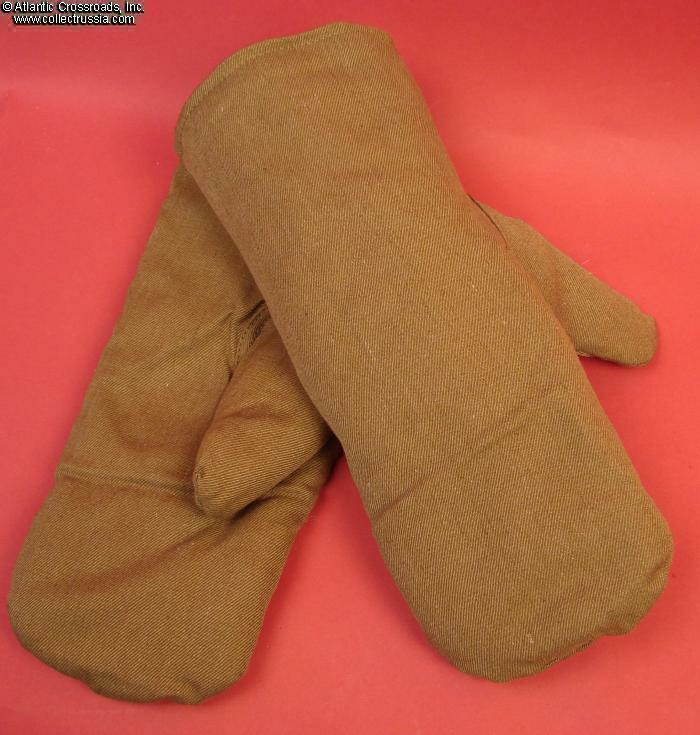 The use of expensive original materials such as sheepskin was uncommon for the Soviet military but they really spared no cost on these mittens, clearly a necessity to avoid having soldiers frozen to death while on guard duty. 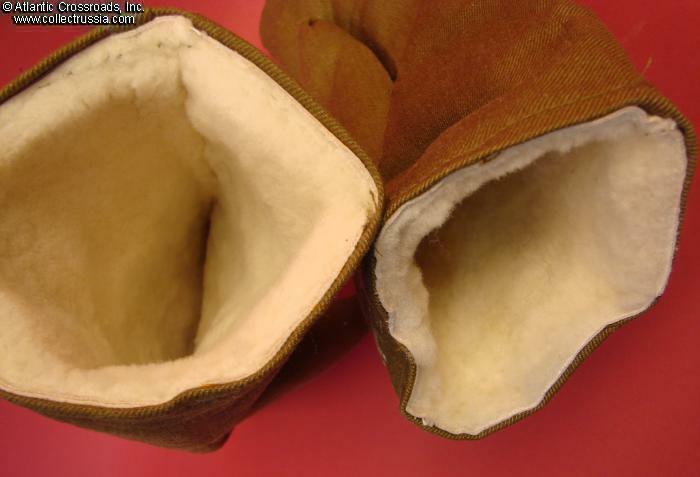 The "breathable" sheepskin allowed good circulation within the mitten so that the moisture wouldn't accumulate and the hands wouldn't freeze when the temperature dropped. A really well made piece of military gear! The size will fit the regular adult man's hand: each mitten is 12" in total length, 5" across under the thumb when laid on a flat surface. 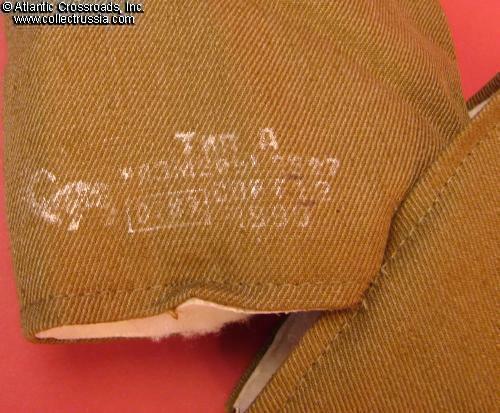 One of the mittens in the pair has factory stamp showing the 1990 date of manufacture. 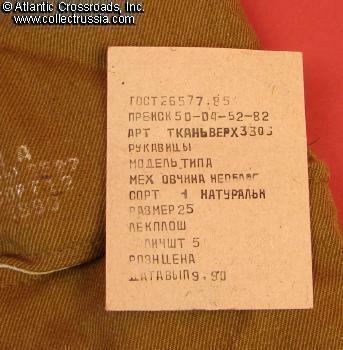 There is a manufacturer's tag that came with the packing carton of mittens; this TAG is NOT INCLUDED (we only have one!) but we show a picture of it simply for your reference. 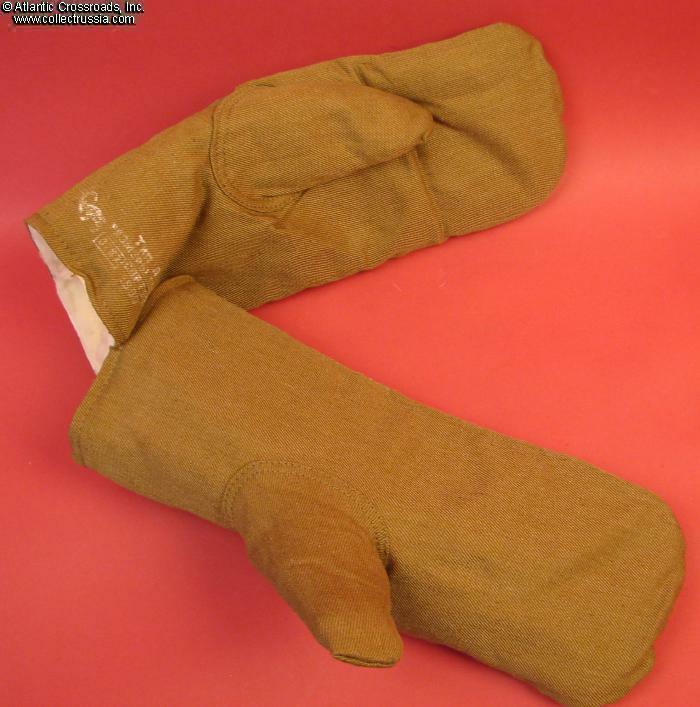 These mittens were made for the Soviet army but never issued. Unlike many other pieces of surplus Soviet equipment that we have encountered over the years, these were apparently stored in safe, dry warehouse. As the result, they are in MINT, brand new condition, without any mildew, stains or nasty smell that other plagues surplus Soviet items. These are both great for actual use and as a piece of Soviet Cold War memorabilia. The design is virtually unchanged since WW2 so they are also excellent for WW2 Red Army reenactment. To see other Soviet Military Equipment, visit the Soviet Military Equipment, Cold War Era , section of our website.